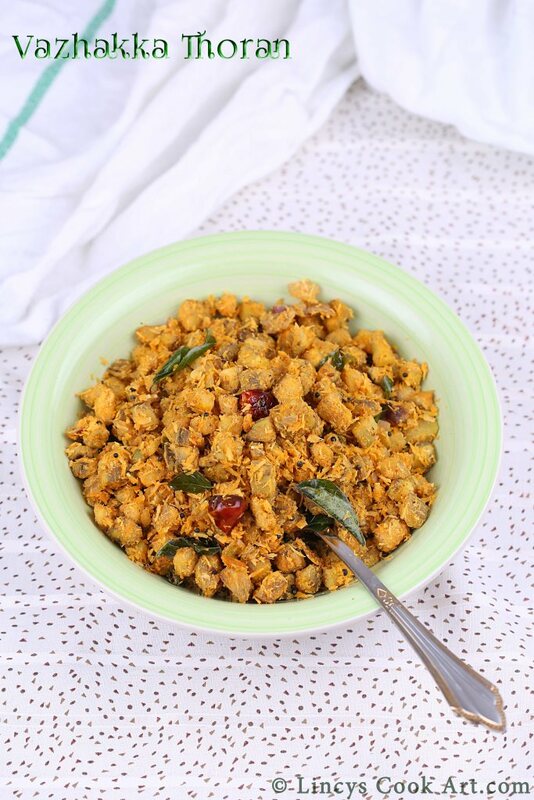 Vazhakka Thoran| Poriyal, Ethakka thoran is a traditional Kerala style stir fry with coconut served with rice. 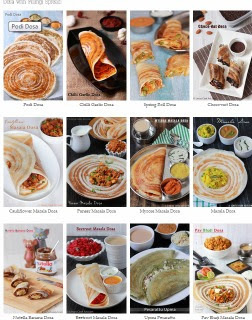 It is also a part of Onam Sadya menu too. I love this thoran whenever my mom keeps it for my lunch box. It is my favourite kootan from my childhood. Mom prepares whenever the banana tree falls before the bunch matures due to rain or something. She used to make this thoran out of that. I love the flavour of this banana stirfry. I like it with rasam combo but it goes well with sambar, dal and curd too. Simple to make and delicious dry curry. Peel the banana by removing the outer skin. No need peel them deeply and chop them into small cubes/pieces and keep that in water to avoid browning. Heat oil in a pan and splutter mustard seeds and then add the dry red chillies and curry leaves. Now add the chopped onion, green chillies and cook till the onion become translucent. While it is cooking grind together coconut, jeera, garlic and chilli powder together as a coarse paste by pulsing once or twice in a blender jar without adding water. Once the banana is done add the coconut paste and mix well and cook for a minute till the raw garlic smell leaves. Switch off the flame and serve with rice paired with rasam, sambar, dhal or curd. I like this thoran with rasam.